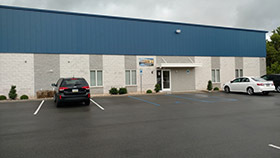 We are a locally owned company serving the Western Pennsylvania region including Pittsburgh, Greensburg and surrounding communities. 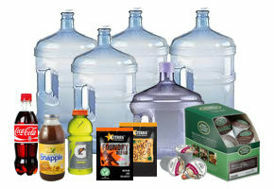 Since 1989 we have been providing residential and business customers with one stop shopping and excellent service for all of their bottled water, coffee, vending, and breakroom supply needs. Please take time to browse through our Website then give us a call toll free at 1-800-927-9864 for a NO OBLIGATION quote on any of our services with guaranteed savings. Knowing your employees have safe, high-quality, great-tasting bottled water to drink is essential to your peace of mind. 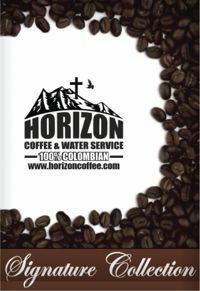 Horizon Coffee and Bottled Water Service delivers just what you’re looking for in bottled water products. ALL of our 3 & 5 gallon bottle water is now filtered thru reverse osmosis. Our convenient water coolers, economical family-sized bottles, single-serve bottles and water filtration systems let you choose the Horizon bottled water delivery service or filtration plan just right for your work style. Horizon Coffee and Bottled Water Service provides the best bottled water service in the Greater Pittsburgh and Greensburg areas. We provide bottled water and coffee service to commercial and residential customers at an affordable, competitive price for both your home and/or business. 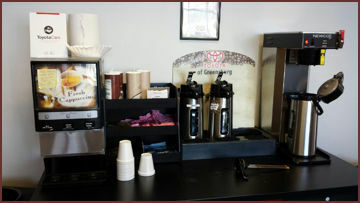 A Variety of Vending Machine Options are available from Horizon Coffee and Water Service. 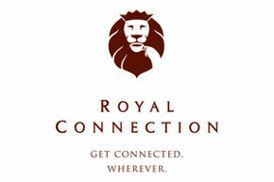 We can supply coffee, soda, snack and healthy choice vending machines. We service the machines regularly to keep your employees happy with tasty and healthy product choices. We service and sanitize all makes of water coolers.